Fruitless Hope: Will GGG dominate again? 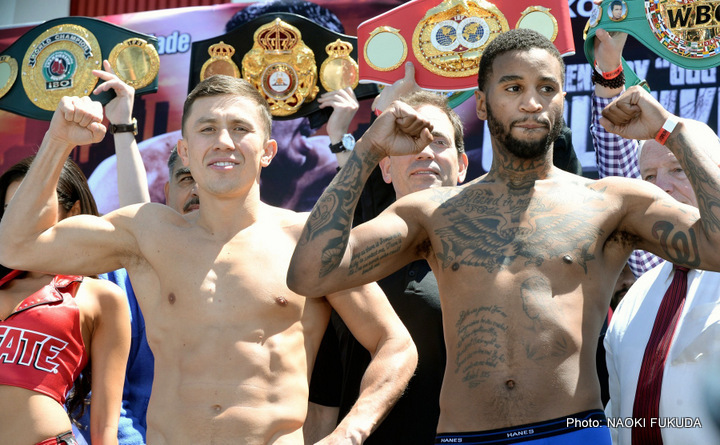 We are just hours away from Gennady Golovkin (34-0-0) defending his titles against the unbeaten Dominic Wade (18-0-0) at the Forum, in Inglewood, California. While Wade is most certainly a suitable opponent, it is hard to imagine anyone who is not a current champion with a five star resume to have the slightest chance against Golovkin. I am not, in any way, shape or form writing Wade off, especially not in a sport like boxing, where a split second or a miniscule mistake can end the night. Having said that, the mind, just like muscle memory, has a tendency to presume expectations to be met. Both fighters come with unblemished records, and both are in a position, where a loss for one is as significant as a win for the other. But let me play the role of the pessimist, the bad cop. I think that based on the given odds for this fight, it would be a pretty safe role to play. If Golovkin once again, outperforms his opponent, will we see GGG step against the ropes against either Ward or Alvarez? The answer is probably not. Ward has already mentioned that facing GGG is not going to happen, at least for now. If anything, Kovalev is holding the first spot in line against Ward. Saul Alvarez shares a similar condition, mentioning in a recent interview that while facing GGG is something he is interested in doing, it is not his first priority right now. Of course there is Mayweather Jr., recently stating that GGG would be easy work. While some are already jumping to conclusion that this may be his way to pre-market that fight, it is more than unlikely that it will ever take place. So where does this leave Golovkin? Raking up victories and dominating his opponents seems to be doing him a disservice. Maybe he should let some of them look like they are being competitive? Let them get a few clean shots in? Of course this is all fantasy: Golovkin is just that good, and is not going to bait anyone into anything. With Ward and Canelo not interested, and a fight against Mayweather Jr. not being feasible, what’s next? Can Golovkin possibly go down Rigo’s path into a vast empty space? Sure Golovkin is a very exciting fighter, as well as an interesting character, but without a blockbuster fight in the works, he is only as good as media marketing and hype can make him out to be. Fight after fight there is hope that one of the big boys will agree to sign the contract and fight GGG, alas it has not been the case. To tie my scattered thoughts together, let’s hope that Wade can surprise us all, and take a little chunk of the invincibility out of Golovkin. Maybe then something more substantial can materialize. You are here: Home / Boxing News / Fruitless Hope: Will GGG dominate again?